Today I was back on the gas and did nearly 500 miles despite the 2 hours it took to cross the border. The ride and scenery from Whistler to Vancouver down the “Sea to Sky Highway” was stunning and the road full of twists and turns. I’m not sure if I’ll ever want to ride in New Jersey again! I would have stopped to take more pictures but the road is literally stuck to the side of the mountain most of the time and there just isn’t much room for many scenic overlooks or even to pull over. 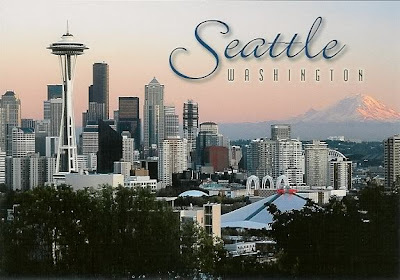 Once back in the US, I wailed down I-5 through Seattle and Portland, OR on my way to the Oregon coast and highway 101. No pictures there either as I’ve been to Seattle before and it was already nighttime in Portland. 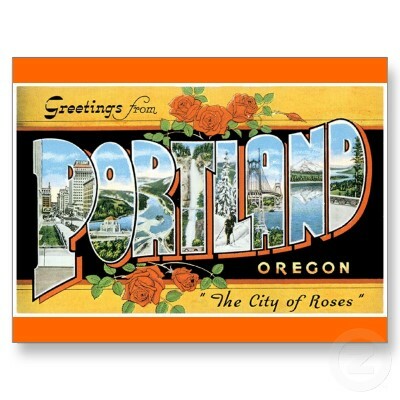 ...or Portland. Maybe next time! Whistler was always on my life list…for skiing and mountain biking….and I got to cross one of those off today. After a hardy breakfast…well, as hardy as a banana-Nutella crepe anyway…I was off to rent a mountain bike. Those of you who know me know that I have more miles on a mountain bike than I do on a motorcycle….present trip included. The kind of mountain biking I do is called cross country…which means we ride up the hills…we ride down the hills…and everywhere in between. Well, there is a whole other facet to the sport called downhill…which is done almost exclusively at ski areas on specialized mountain bikes. You and your bike take the chairlift up the mountain, as the bikes are too heavy and so specialized at going down, that they are unable to go up! Downhill is all about going downhill…fast…really, really fast…over all manner of jumps, rocks, kickers, table tops, banked turns and all sorts of other terrain. The bike I rented was a full on downhill rig and weighed in at twice what my dual suspension mountain bike weighs…it was over 50 pounds! They are built that heavy to endure the pounding that they take flying down the hill bouncing of the scenery….it’s almost like an off-road motorcycle without the engine. So with my newly acquired steed and a lift ticket, I was on my way up the hill. Now, mama didn’t raise no fool…so despite the fact that I’ve been riding mountain bikes for 20 years, I figured I’d warm up on some intermediate difficulty runs to get used to the new bike. After two runs down, I felt pretty good and the speeds that are possible on these big downhill bikes is amazing! My third trip up I was ready for the big show, and a steered the rig over to the entrance to A-Line…Whistlers signature black diamond downhill run. If this were golf, it would be the 13th at Augusta National or the 18th at Pebble Beach. They have a warning sign and a jump right at the entrance…just to make sure you don’t accidently start down the run and kill yourself! The jump at the entrance to A-Line... It was not huge, but it does look really small in the picture! Well, all I can say is it was an awesome ride! I’ll admit I wasn’t man enough to take the big jumps at full speed…which could easily put you 20 feet or more off the ground! I’m just glad these bikes also have huge hydraulic brakes to control the speed. After 2 more runs down A-Line, I spent the rest of the afternoon exploring some other runs. Been riding a bike all day, took 10 pedal strokes..but I'm beat! Yep, that black dot is a bear just above where the chair lift drops you off! The lifts close at 5 and I was kind of glad because my shoulders and quads were thrashed and couldn’t take any more anyway! Next it was back to the room for a shower and to catch up on the blog. For dinner I found a good sushi bar and stuffed myself with pricey bait. On the way back to the room I got sucked into a bar having a bit of an Oktoberfest celebration….and I’m not sure if it was the oompah band or the waitresses dressed in dirndls(Thanks to Andria for that!). Either way, I was good for 2 steins worth before calling it a night. Cold. Wet. Yep, that was my morning. Fortunately the place I camped came with a hot shower…which I used to chase off the morning chill! After packing up the soaking wet tent (from heavy dew and fog), I hit the road. The first hundred miles were cold and miserable, but then the sun came out and all was right with the world. That is until the truck I was following locked up its breaks and started swerving wildly! What he was trying to avoid was the large male elk that was on other side of the road….but spooked as we approached. First he swerved to the right…then back to the left which caused the trailer to fish-tail…all while smoke was pouring from the wheels from the locked up brakes. I was hard on the brakes as well trying to scrub some speed. The elk, which ran from left to right across the road didn’t fare so well, as the truck got a good piece of it apparently. The last thing I saw was the elk spinning in mid-air 10 feet of the ground and landed in a ditch at the side of the road as I went by. Mack truck – 1, elk – 0. I also met another biker from Germany who is also planning on riding all the way to Argentina! His name is Edmond and he flew his bike in to Vancouver from Germany…went up to Alaska…and is now heading south same as me. We exchanged emails and will try and catch up somewhere along the road. The riding so far was good, but average. That is until I turned off of Canada road 97 onto road 99…which is 120 miles of motorcycle awesomeness! It connects road 97 and Whistler…and it was not only scenic, but chock full of ups, downs, twists and turns…motorcycle nirvana! Alpine lake along Rt. 97. And yes the water is that clear! Looks like it's 6 inches deep, but is actually 4-5 feet deep! Now that is clear! – Smoked sockeye salmon with grilled red onions and toasted baguette. – Goat cheese with caramelized white onions and ginger reduction. That beats a tunafish sandwich any day! After that I made the rounds and sampled the beer at some of the local pubs in the village, then called it a night. Of course…there was the small matter of a black bear blocking the entrance to my hotel! As I slowly backed away fumbling around for my camera….a local gal walked up and ever the chivalrous gent that I am, I warned her of the bear. Well, she turned out to be a local and was no stranger to nightly bear encounters in town! Apparently a few bears have their nightly route around town looking for food, and are quite accustomed to humans and not very dangerous. I guess that would explain the live bear trap immediately behind my first floor hotel room balcony! This morning I was out the door and on the road by 8:45 after a shower and granola bar for breakfast. Today was more about making miles than smelling the roses, so I took few pictures despite the good scenery. I did monkey around with my HERO sport camera a bit though. The fall foliage along the way was spectacular…almost as good as Vermont. But what this has that Vermont doesn’t is high soaring peaks like the Rocky Mountains to cap off the vivid fall colors. What made it even better was the overcast skies that eventually gave way to bright sunshine. One other comment about this area of the Pacific Northwest, southeast Alaska and Alaska in general…is the sheer vastness of the wilderness. What is seen from the thin ribbon of asphalt that connects these remote towns can hardly be half of 1% of what is there. The amount of track-less wilderness up here is hard to wrap your mind around. I found a campsite just south of Price George as there is no rain in the forecast. I had this campground all to myself! Tomorrow I’ll be heading for Whistler, BC…and another check off for the life list. I got off the ferry late last night and I’m now in Prince Rupert, BC. I’ll be heading for Price George, BC today and will update the blog as soon as I can! Thanks for all the great comments! Today was going to be a short run from Haines Junction, YT back across the US border to Haines, AK to hopefully catch a ferry south. The morning was chilly and overcast but dry, which is always welcome. The scenery was good but got better the closer I got to Haines. I passed Kelly and Phil (the two Aussie’s I camped with back in Seward) on the side of the road who had their camcorder pointed at a bald eagle. They were already on the stand-by list for the ferry tomorrow, and that’s what I needed to still do. Once in town I went straight to the ferry terminal to get on the stand-by list…..and was glad to see I was number 2 on the list behind them. At the terminal I also met another biker from NY on an FZ6. His name is Kevin and he’s doing a big loop around the US and Alaska…and is also on the ferry tomorrow. After that I went to the Lighthouse Bar for lunch and a beer. Phil saw my bike parked out front and stopped in to tell me where they were camped, and given the hotel prices, I was going to cap with them. They were off to do a hike, and I went down to the end of the bay to a creek where there were supposedly a mama grizzly and 3 cubs feeding on salmon. Sure enough, at the creek there was one mama grizz with three cubs and another with one cub…all gorging…or already gorged on salmon. That was a very cool sighting and I’m glad I got to see that before I left Alaska. Mama grizzly doing some fishing! Wouldn't I feel stupid getting attacked in front of this sign...as I stopped to take a picture of the sign that says not to stop! Then it was back to the campground which also had a hotel with wifi in the lobby. In the lobby I met Rebecca and her Doberman Fiona. It turns out that she already knew of Phil and Kelly as they had been playing road hopscotch passing each other on the way to Haines. Alaska is a big state, but with so few roads….you bump into the same people time and again which is kind of funny. Kelly and Phil made a nice hearty camp dinner for the 4 of us, and I capped it off with some 12 year old scotch that Phil was carrying…nice! Nice work Phil and Kelly! Rebecca had gotten a room for her and Fiona in the hotel and retired early for the warmth and clean sheets. Phil, Kelly and I stayed up as long as we could until the cold chased them into their van and me into my tent for the night. This morning may have been the coldest yet as the bike and the ground had a thick layer of frost. The temperature was in the 20’s, but it’s supposed to warm up to the low 50’s by the afternoon. Given the cold morning air, I waited until 10am before setting out for Haines Junction. Once on the road it was all business and I was hard on the throttle to make time. I did stop for one token picture, but because most of today was backtracking over ground I had already covered, I wasn’t compelled to stop for pictures despite the good scenery. Token picture of the mountains above Haines Junction, YT, Canada. Once in Haines Junction, I found a room for $50 CAD. After updating the blog, I called it a night.